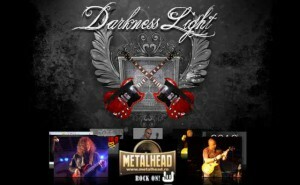 Very good news after more than one year of silence: Augsburg’s melodic hard rock project Darkness Light will be back in studio! Cristian Bettendorf, the project mastermind, plans to re-start the recordings in Oct. 2014 and finish the album Living with the Danger. Stay tuned!